"Black Mass" already has some Oscar buzz. Johnny Depp is one of Hollywood's biggest stars, but he's had his share of box office busts in recent years. This weekend should put things back on track with "Black Mass." The dark crime biopic, which tells the story of Boston crime kingpin James "Whitey" Bulger, is projected to bring in roughly $30 million at the U.S. box office this weekend. That would give Depp his biggest opening in a lead role since "Pirates of the Caribbean: On Stranger Tides," which opened to $90.1 million in 2011, according to Rentrak (RENT). Since "Stranger Tides," Depp has had some notorious box office bombs like this year's "Mortdecai," which only made $4.2 million its opening weekend. So is "Black Mass" Depp's big comeback? Well, yes and no. "I wouldn't call it a comeback. He never really went away," said Phil Contrino, chief box office analyst at BoxOffice.com. "He's had a lot of adult fans who were getting a bit tired of his slapstick routine over the last few years and now they're welcoming this serious role with open arms." Depp will also have some strong competition this weekend with "The Maze Runner: Scorch Trials." "Scorch Trials" is the sequel to "The Maze Runner," which surprised Hollywood last year with a worldwide haul of $340 million. The latest film in the young adult dystopian series is looking to take the top spot this weekend with a projected haul around $35 million. 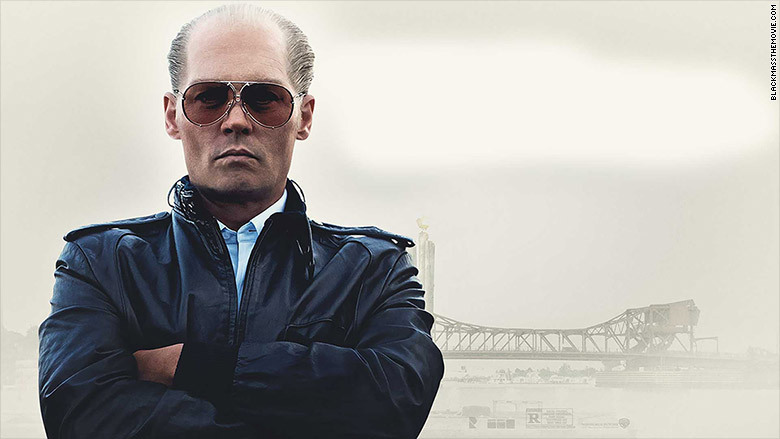 As for "Black Mass," distributed by Warner Bros., its buzz could last past this weekend being that Depp's performance as Bulger is already garnering Oscar talk. Warner Bros., like CNN, is owned by Time Warner. "I'd be extremely surprised if he doesn't get an Oscar nomination," Contrino added. "It's definitely going to be what people are talking about at the movies this weekend."